Static Art is created to be viewed, consumed and digested by gaze or study, contained in a snapshot. Reactive art advances the medium; its emergent nature evolves according to exposed states, changing and adapting, never stagnant - sentient, conscious. 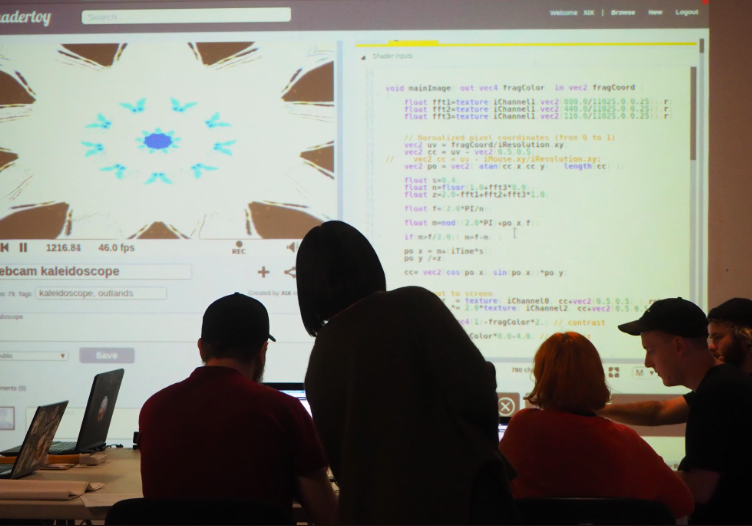 This workshop gently introduces the OpenGL Shading Language for the creation of interactive digital pieces that will respond to improvised movement and sound composition in both singular and collaborative approach. We will look briefly at the history of shaders and how these techniques are used in the industry right now, driving innovation in computer hardware research and development. The workshop will end with a quick show & tell. Participants are advised to bring a laptop with a working camera and microphone. No prior programming knowledge is required to benefit from the session. 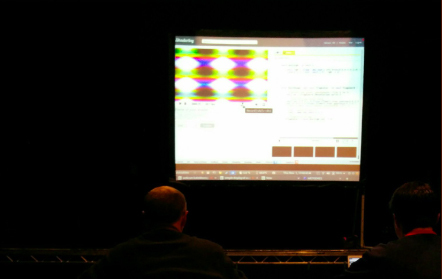 You will be using ShaderToy for the entire duration of the workshop. Modern laptops should be able to load the website but please check before coming. Where necessary, we will collaborate in groups.